A rookie FBI agent enlists the aid of a hunter to solve the murder of a Native American teenager. In the years since making his directorial debut with the 2011 survival horror Vile, Taylor Sheridan has become one of the most acclaimed screenwriters working in American cinema, thanks to his penning of 2015's Sicario and last year's Hell or High Water. For his sophomore directorial effort, Wind River, which he also wrote, Sheridan continues to document a broken vision of America. That's not to suggest his films are nihilistic; quite the opposite. Sheridan's films are as humanistic as they come, sympathetic to the struggles of everyday Americans, and giving us nuanced portrayals of people too easily written off as stereotypes elsewhere. How American cinema needs him right now! For Wind River, Sheridan swaps the sun-baked southern settings of Sicario and Hell or High Water for the frozen plains of Wyoming. While hunting a pack of mountain lions, US Fish and Wildlife Service agent Cory Lambert (Jeremy Renner) stumbles across the corpse of Natalie (Kelsey Asbille), a Native American teen who was once friends with his own daughter, herself murdered three years ago. When the FBI send a seemingly unqualified rookie in the form of Jane Banner (Elizabeth Olsen), the locals are none too happy, seeing it as a sign that the FBI doesn't care about the case. Impressed by his knowledge of the land and his integration into the Native community, thanks to his relationship with his ex-wife's family, Banner enlists Lambert's aid in solving the case. Lambert sees this opportunity as a chance to find those responsible for his own daughter's murder. It's difficult to imagine a more cliched premise for a thriller, with every other TV show from Twin Peaks to The Killing to Top of the Lake using the death of a teenage girl as a starting point for a peek under the cosy quilt of smalltown life. The central pairing of out-of-depth FBI agent from the big smoke and rugged, quiet-spoken woodsman is another stereotype. Yet somehow Sheridan manages to make this material feel fresh, and he even subverts some of our expectations regarding this genre. There's one bravura moment when he pulls the rug out from under our feet, and anyone who claims they can see this twist coming is simply being a smartass. Renner has struggled to find his niche, with attempts to establish himself as a leading man falling flat in the past. He's an actor who's at his best in withdrawn roles, and so his grieving father on a mission here seems custom written for his quiet strengths. Less is more in Renner's case, and we've never seen him better than he is here. 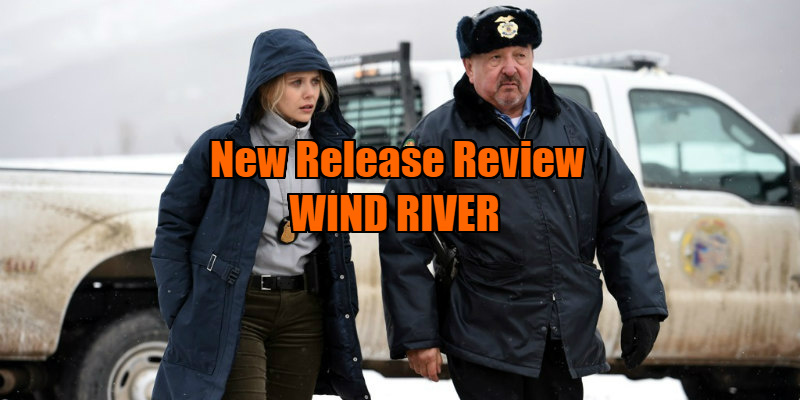 His performance seems inspired by the sort of soft-spoken, rugged heroes played by the likes of Robert Ryan and Randolph Scott in the past; indeed, Wind River is just the type of movie they might have starred in. Conversely, Olsen comes off as miscast here, and her outstanding breakout turn in 2011's Martha Marcy May Marlene is quickly fading into the past. 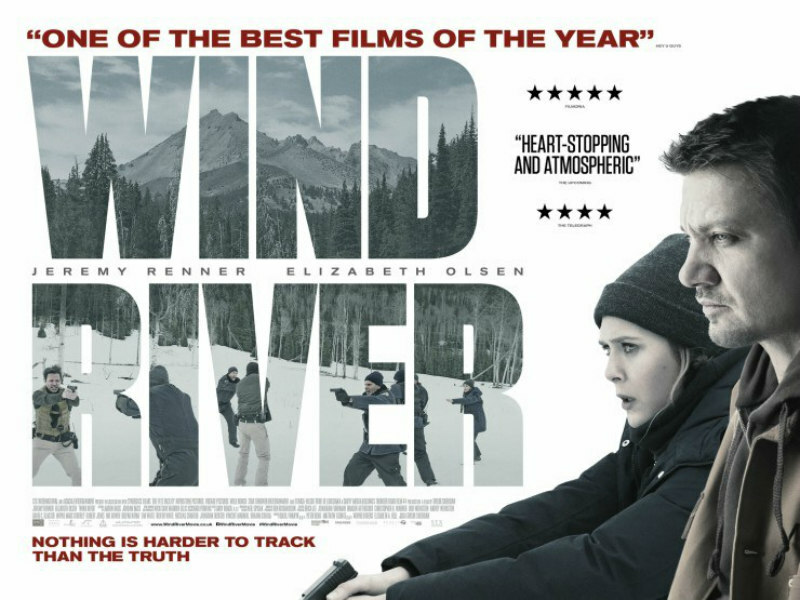 In many regards, Wind River plays like a more satisfying American remake of the 2013 Australian thriller Mystery Road (between them, both movies offer two of the most realistic shootouts ever put on screen). More satisfying in all but one aspect, that is. Mystery Road similarly involved the investigation of a young Native girl, but the central protagonist of that film was himself an aborigine. Perhaps it's naive to expect Hollywood to bankroll a movie starring a Native American actor (though how much box office appeal Renner possesses is debatable), but it would have added some much needed depth to a movie that, while perfectly rendered as a thriller, too often feels slight, its deeper theme left buried in the snow. Wind River is in UK/ROI cinemas September 8th.